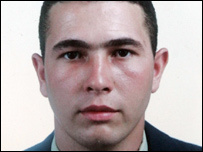 Jean Charles de Menezes was shot dead by police in 2005. Government plans to give the home secretary powers to remove juries from some inquests are "astonishing", an influential group of MPs says. A little-noticed clause in the Counter Terrorism Bill would also enable the home secretary to change the coroner if deemed to be in the national interest. Ministers insist the vast majority of inquests will still stay public. But the Joint Committee on Human Rights warned the measures could affect cases like that of Jean Charles de Menezes. The Brazilian electrician was shot dead in 2005 by police who mistook him for a terrorist after the London bombings. The government plans are intended to avoid the risk of sensitive information - such as details of phone-taps or surveillance operations - being revealed to jurors and other members of the public. But it is not explicitly restricted to terrorism cases and could in theory be applied to cases of deaths where no such link is suspected. The committee branded the inquest plans as "astonishing", especially as they were introduced into the bill at a late stage with no time for consultation or pre-legislative scrutiny. Andrew Dismore, the Labour chair of the committee, said: "We are seriously alarmed at the prospect that under these provisions, inquests into the deaths occurring in circumstances like that of Jean Charles de Menezes, or British servicemen killed by US forces in Iraq, could be held by a coroner appointed by the secretary of state sitting without a jury. "Inquests must be, and be seen to be, totally independent and in public to secure accountability, with involvement of the next of kin to protect their legitimate interests. "When someone dies in distressing, high profile circumstances their family need to see and feel that justice is being done. "And where state authorities are involved, there is a national interest in accountability as well." But a Ministry of Justice spokeswoman said the clause was "likely to be used sparingly". "In such cases, the coroner holding the inquest will have new powers to see material that is central to the inquest even if it cannot be made public," she said. "The existing provisions relating to juries at inquests will continue to operate in all cases which do not involve material which cannot be disclosed publicly. "Inquests with juries take place in limited circumstances - 2% of all inquests. "The great majority of inquests into the deaths of our servicemen are already held without juries." As the law stands, coroners must call an inquest into violent, unnatural or unexplained deaths in their districts. They are held in public and a jury must be convened if the death occurred in certain circumstances, including in police or prison custody. The MPs' report warned that the new measures could breach the European Convention on Human Rights (ECHR), to which the UK is a signatory. The government published a draft coroners bill two years ago which stressed the importance of inquests being held in public, but it was not included in the Queen's Speech. The new bill, which has yet to go before MPs, has already sparked intense debate about provisions to increase the amount of time terrorist suspects could be held without charge.